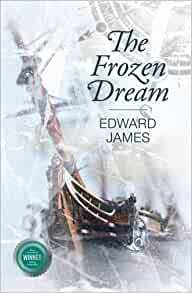 The Frozen Dream is a historical fiction novel and follows the fate of three ships searching for a northern route to China. It tells how an Englishman accidently became the first diplomat to Ivan the Terrible’s court and involved in Russia’s war with Sweden. Richard Chancellor is the leader of the expedition. He’s been coerced into taking the voyage – his wife is expecting their first child, and he doesn’t want to leave. He is also skeptical of finding a new route to China (what they called ‘Cathay’ at that time). The three ships under his command set out at the same time, but split up, each seeking a different route over the tops of Norway and Sweden. The other main character is Arthur, a cabin boy, who is travelling on a ship which becomes lost in the north. After a mutiny, the captain is killed, the ship becomes locked in ice, and most of the sailors take their chance across the rough ice to retrace their voyage and hopefully return home. Alone, Arthur decides to head out inland. He nearly dies but is saved by a tribe of the Sami people who heal him and welcome him into their clan.Richard, in the meantime, has found a Russian trading post and is taken to meet Ivan the Terrible, Tsar of Russia. Since his boat has canons, Ivan has decided Richard will help him win his war against Sweden to recapture land in the north. Richard does not want to become involved in a war that has nothing to do with England, but Ivan is holding his men and ship hostage – and he fears that if he does not agree, Ivan will simply kill them all and take his ship and its precious cargo. Besides, Ivan dangles a promise of trade – and a possible route to China via the Volga. Against his better judgment, Richard agrees and sets in motion a chain of events that would affect everyone involved. Richard and Arthur meet for the first time on opposite sides of a war neither wants – and it is a clash of personalities and civilizations as the Russians, with the English guns and canons, smash their way into the Sami’s territory on their way to battle Sweden. But the Sami are not defeated, and soon the Russians find they are not as superior as they believed. Some parts off the story follow history closely. The author, Edward James, knows this period well. HIs descriptions of the boats, their crews, and the historical settings are fascinating. The book also describes the real life and death of Richard Chancellor, a historical figure who stumbled into Ivan the Terrible’s court and became the first English diplomat to Russia. The other character, Arthur, is fictional, but his side of the story gives life to the nomadic tribes, the Sami people, who are too often left out of history but whose lives and customs remain unchanged since the dawn of time, even until today. The Frozen Dream stayed with me long after I finished it. James’ prose is descriptive and lyrical. I was entranced by the story, especially the part about Arthur, the humble cabin boy who became a Sami shaman. Reading it was a pleasure, and I’m looking forward to reading more by James. About the reviewer: Jennifer Macaire lives in France with her husband, three children, & various dogs & horses. She grew up in upstate New York, Samoa, and the Virgin Islands. She has published short stories in such magazines as Polo Magazine, PKA’s Advocate, The Bear Deluxe, Nuketown, The Eclipse, Anotherealm, Linnaean Street, Inkspin, Literary Potpourri, Mind Caviar, 3 am Magazine, and the Vestal Review. One of her short stories ‘Honey on Your Skin’, was nominated for the Pushcart Prize. 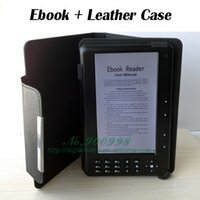 In June 2002 she won the 3am/Harper Collins flash fiction contest for her story There are Geckos’ Her story ‘Islands’ appears in the anthology ‘A Dictionary of Failed Relationships’ published by by Three Rivers Press, an imprint of Penguin Putnam and her historical fiction novel The Road to Alexander was published by Accent Press in 2017.